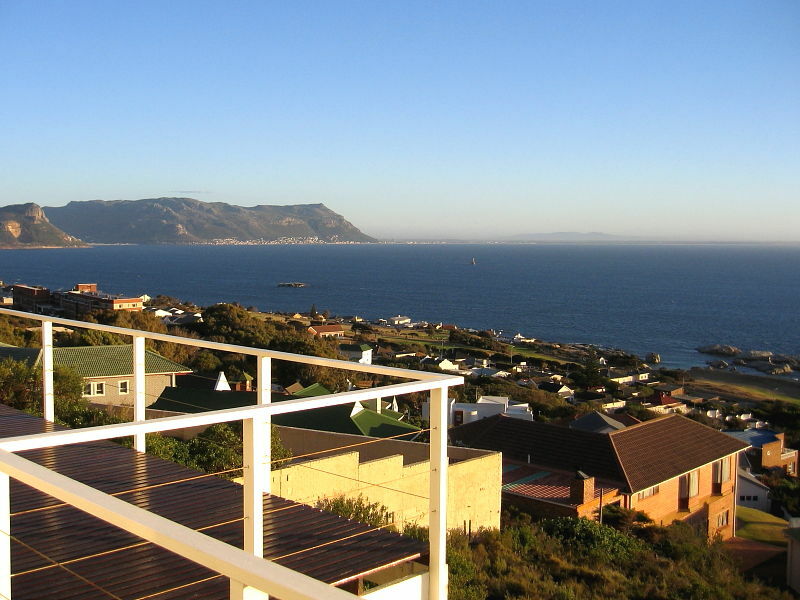 Having arrived at Cape Town Airport after about an eleven and half hour flight from London’s Gatwick airport we picked up our hire car and headed for the Cape Peninsula and our holiday apartment overlooking False Bay. 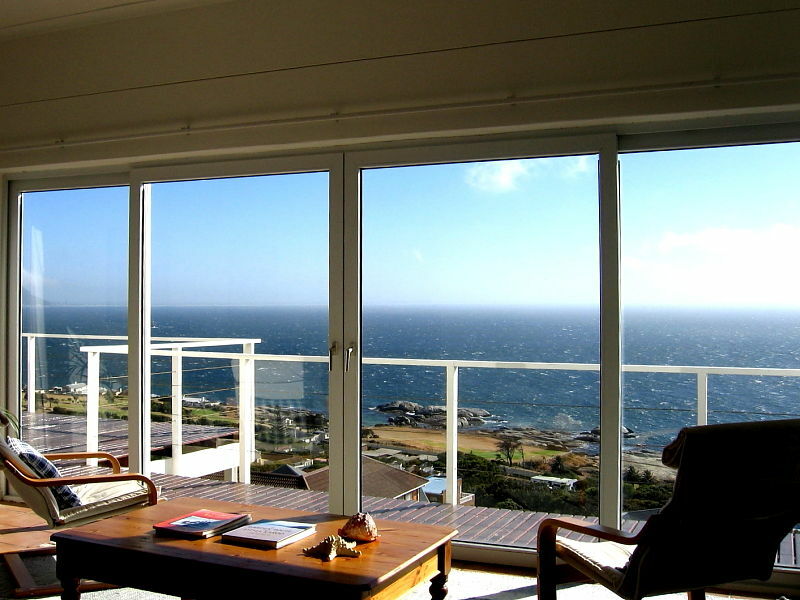 Once out of Cape Town the coastal road down the Cape was a pleasant scenic drive and we arrived at our self catering holiday accommodation near Simon’s Town within 30 minutes of leaving Cape Town airport. Endemic birds from the lounge! Parking outside the holiday apartment the cars doors were wrenched from our grasp by a fierce wind as we got out – the Cape Peninsular can be breezy! If the wind was unexpected little did we know what was awaiting us upstairs in the apartment. Walking across the lounge to take in the extraordinary view from the balcony over False Bay we were greeted by several endemic bird species. 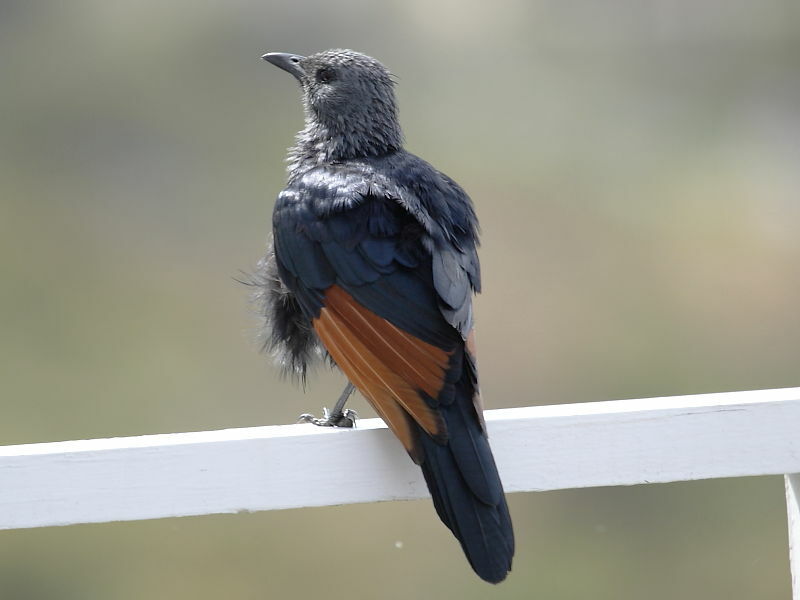 One Cape Sugarbird was actually on the balcony railing along with several Red-winged Starling. A few metres below the balcony the garden feeders, offering tubes of liquid sugar, were being squabbled over by several Cape Sugarbirds. 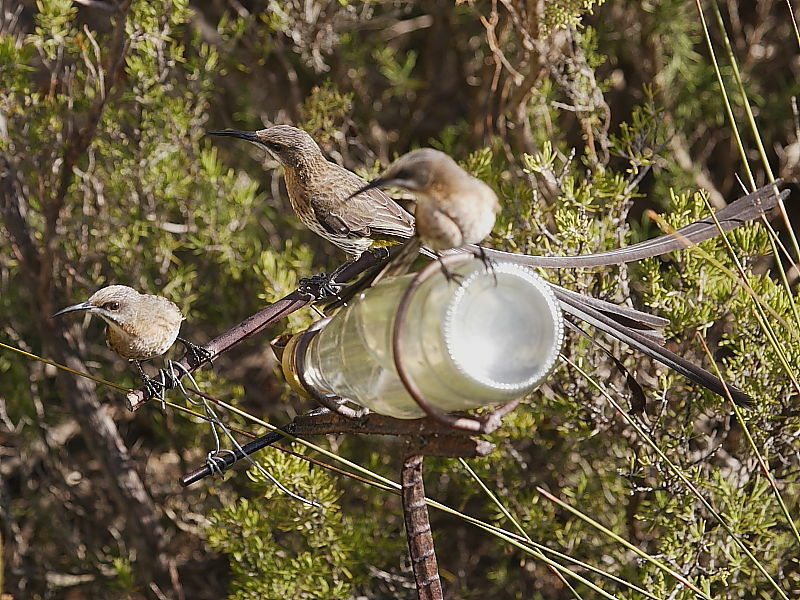 These feeders would be visited throughout our stay by Cape Sugarbirds, Lesser Double-collared and Malachite Sunbirds. 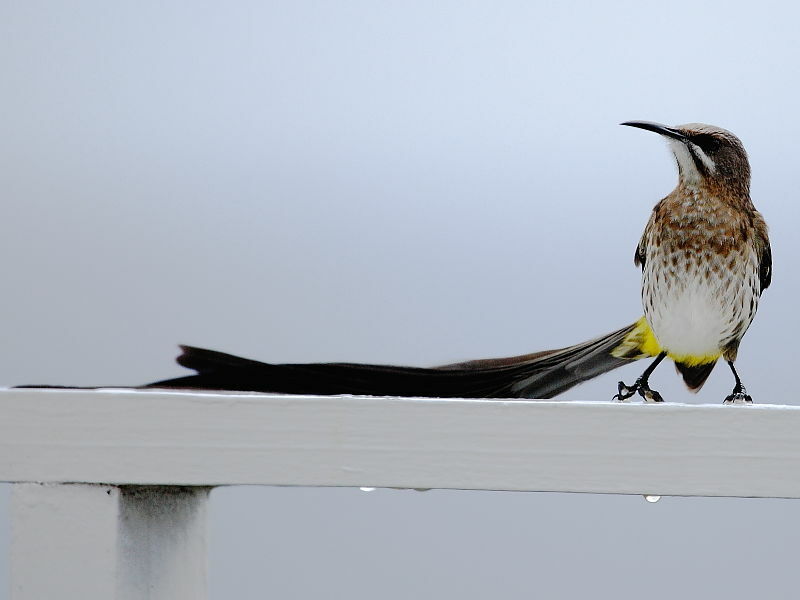 Waking up to the calls of Sugarbirds and the spectacle of fierce Cape winds tugging at their absurdly long tail feathers will long remain with us. 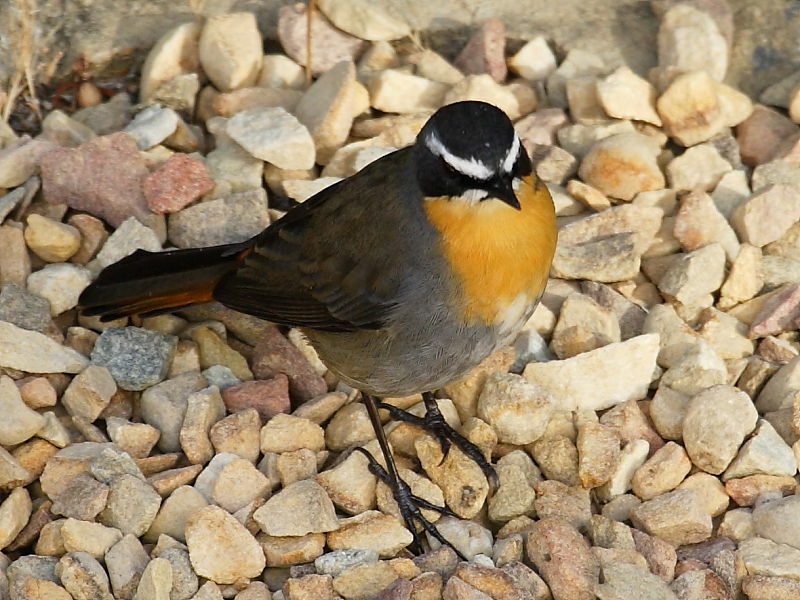 Cape Wagtail and Cape Robin-chat were seen daily in the garden visiting saucers of food put out on the ground beside a little pond. Early in our stay we became aware of strange shuffling noises coming from outside at night. Being a bit slow on the take up, it took us a few days to realise that porcupines were feeding in the garden directly beneath the balcony. Once seen we looked forward to their arrival most evenings and spent many moonlit hours watching them from the balcony feeding on peanut squashes, fruit and vegetables put out for them. Disappointingly the poor light and the porcupines shyness didn’t permit any photographs. 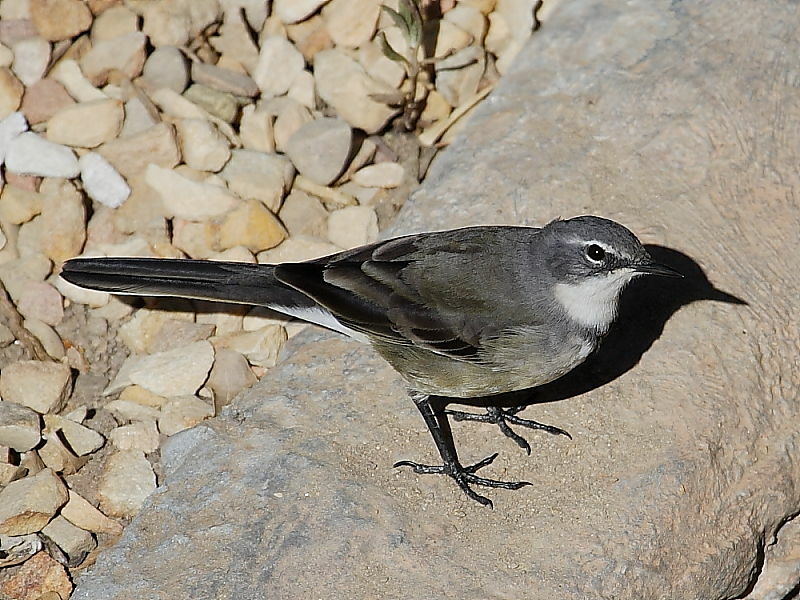 During the day other non avian visitors such as black lizards and Striped Mice also put in appearances. 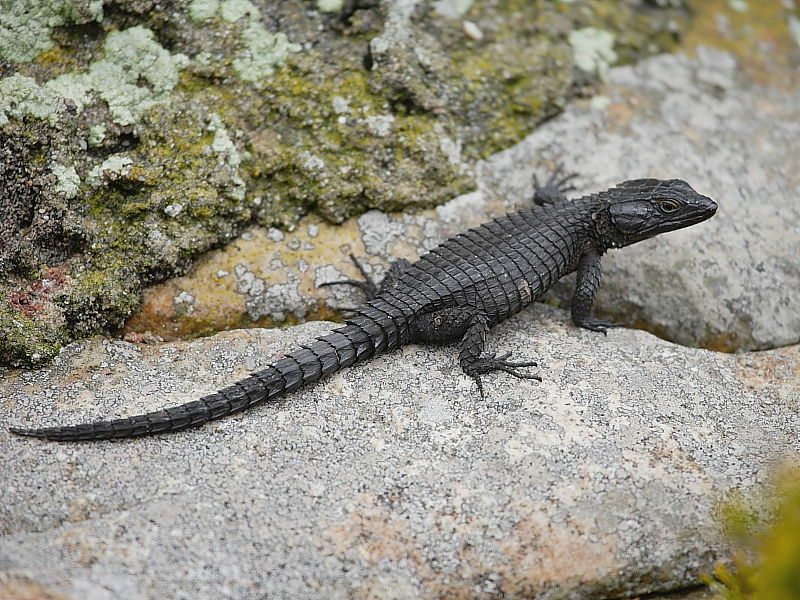 No large reptiles were seen – that would have to wait for the Cape of Good Hope. Behind the apartment we had our first glimpse of the extraordinarily fynbos habitat which covers much of the Cape Peninsula and Table Mountain National Park. The rocky slopes of the spine of mountains extending down the Cape Peninsula are renown worldwide for many plant species not found anywhere else in the world. 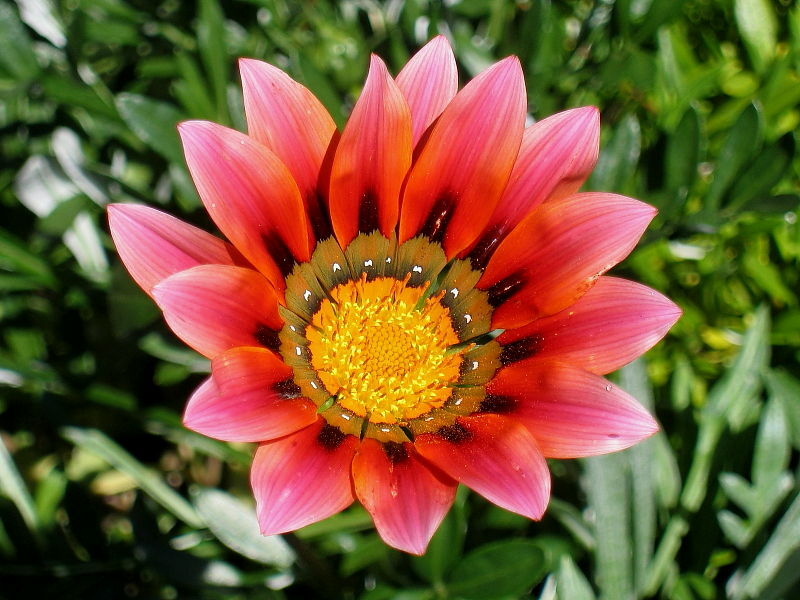 It is estimated that a small area of the Cape Peninsula has more plant species that the whole of the British Isles. Being late summer many of the plants were no longer in flower and the terrain looking parched and scrubby. The few brilliantly coloured flowering proteas at least gave an indication of how colourful the lower slopes can look in the spring. 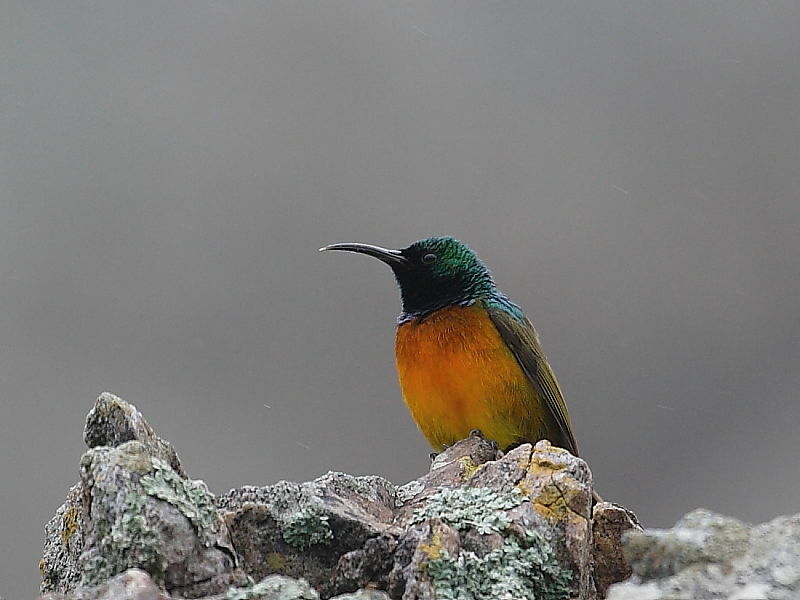 For us, non botanists, it was the Orange-breasted Sunbirds that immediately caught our eye. 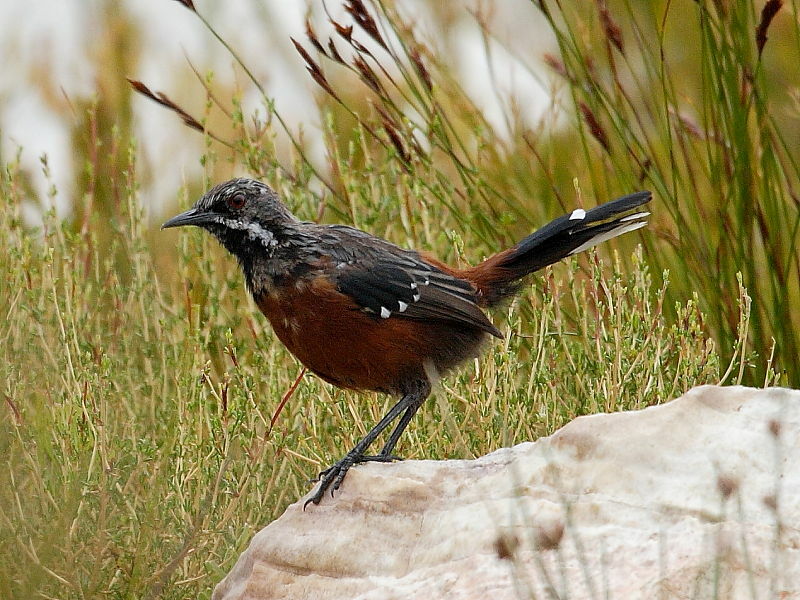 This South African endemic bird species is surely one of the country’s most iconic birds. We did not appreciate it at the time but it was a bird that we would become extremely familiar with and only the next day at Kirstenbosch would have wonderful close ups of this stunning bird. We unsuccessfully scanned the higher rocky ledges in the somewhat over optimistic hope of seeing a Cape Rock Jumper, one of the birds we had on our wish to see list. Apparently it remains a mystery as to why the Cape Rock-jumper has yet to be recorded on the Cape Peninsular despite the habitat appearing suitable. It wouldn’t be until well into our second week, with time running out, that we would manage to catch up with one of South Africa- and what an extraordinary event that was! Well worth the wait!